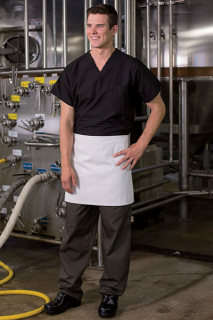 Choose from Uncommon Threads' great selection of server aprons, which are available in many different lengths and colors. Along with length and color, Uncommon Threads also lets you customize your apron with option types, such as reversibility, adjustable bibs, scoop necks, waist ties and the number of pockets. Hats & Neckerchiefs Uncommon Threads features a full line of headwear and neckwear for chefs and other hospitality professionals. 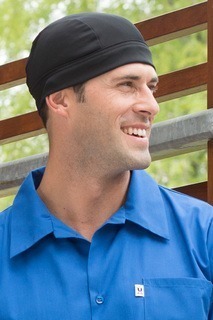 You have a great selection of beanies, chef hats, skull caps and neckerchiefs to top off your uniform. All hats and neckerchiefs are designed to be comfortable as well as functional, with great features like velcro closures, elastic backs and mesh inserts to keep you cool. 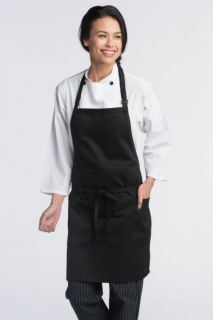 Uncommon Threads offers an assortment of comfortable, yet functional chef pants for the restaurant and hospitality professional. 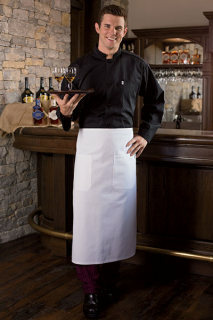 Chef pants are available plain or patterened and are designed with an ultra-comfortable elastic waist. To help you find your perfect pair of work pants, Uncommon Threads has a number of different options available to you, including drawstrings, side pockets, back pockets, towel loops and double stitching for added strength. Whether you work in the back of the house or the front of the house, Uncommon Threads features a complete collection of chef coats and server jackets for all restaurant and hospitality professionals. 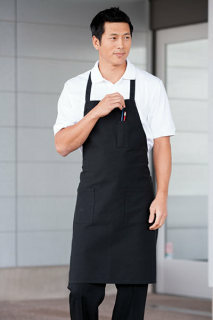 Uncommon Threads gives you options in purchasing chef or server coats; you have your choice of color, button style, finished cuffs, contrast stitching, reversible closures, inset pockets, thermometer pockets and underarm vents, whatever you need to perfectly complete your restaurant uniform.  Uncommon Threads offers a wide selection of utility shirts available in short sleeved or long sleeved designs. Utility shirts have great features, like moisture wicking and easy-care, and Uncommon Threads allows you to choose from a variety of different options to meet your exact needs while on the job, including collar style, buttons and color.